There is nothing better than waking up on a Saturday morning and knowing that I don’t really have anything that I have to do. I can take my time, abandon my morning rituals and just be. I have time to enjoy the splendor of a perfect Spring morning. I can spend a few moments in quiet solitude before the rest of the world wakes up around me. I am able to spend good quality time with those most important to me. I can do what I’m doing now…just sitting in my papasan chair with my feet on a foot stool and relax. There are things that need to be done, and probably will get done, but there is no hurry. Not today. My wife is relaxing. Our dogs are being lazy. We stay on the run, so there will be little running today. A walk probably, but no running. There is plenty of that throughout the week. Do you want to know what one of my very favorite things is about Saturday mornings? I’m a big fan of coffee. Huge fan, actually. You can call me an addict, and you would not be far off. Now during the week, I drink the cheap stuff. Chock Full o’ Nuts out of the automatic coffee maker straight into my travel cup for work with French vanilla creamer. It takes no time, little effort, and tastes decent. 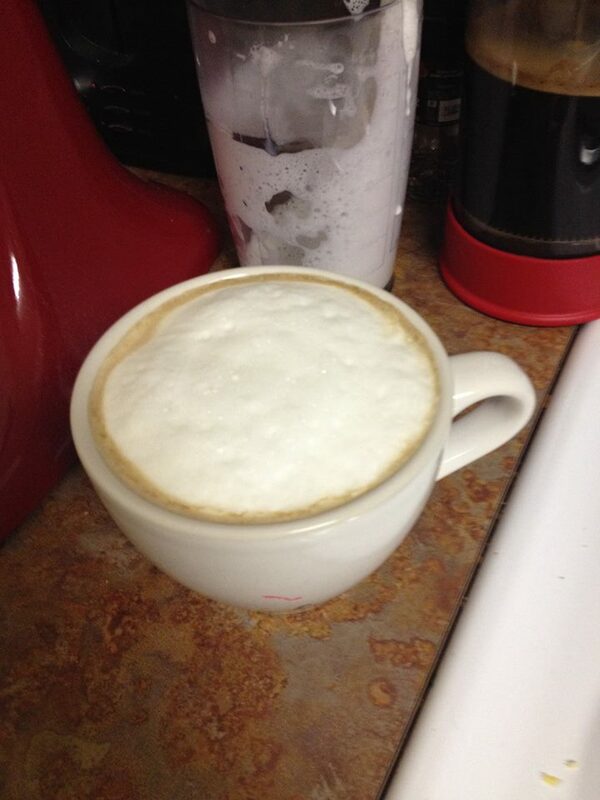 On weekend mornings I am able to create coffee heaven. We have a French press, and thanks to my wife’s sister, who just happens to live in Italy, we have been shown the deliciousness that is good coffee. I can take my time. Heating the water on the stove to the perfect temperature, just before boiling, and adding it to the caffeiney goodness that awaits in the bottom of the press. As that sits and steeps, I warm my milk on the stovetop just enough and with my immersion blender make the delicious foamy heaven that adds a little extra specialness that is the weekend. A dash of vanilla extract in the bottom of the cup prior to pouring the coffee and steamed milk makes a perfect cup of coffee that much more perfect. The whole process from warming the water to consuming heaven itself takes about 12 to 15 minutes, and is the perfect start to a perfect day. What do you do with your Saturday mornings?